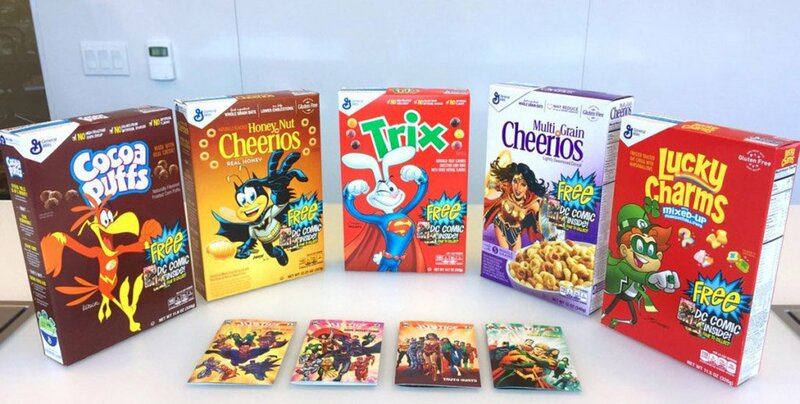 In the past few years, DC Comics have partnered with General Mills to offer exclusive comics packaged inside some of the most popular cereal boxes on the market. 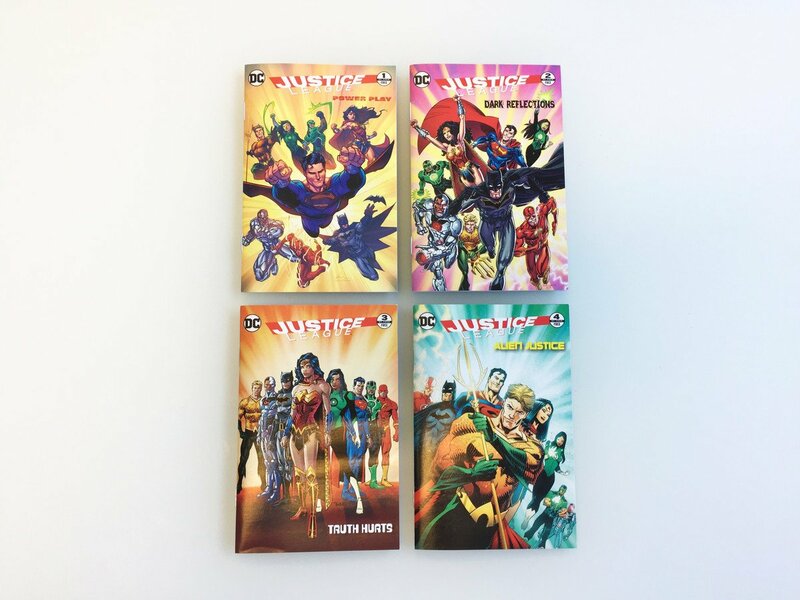 Well, the time has once again come for us to hunt down more books featuring the Justice League at our local grocer. Before we get to the limited edition comics themselves, let’s discuss what separates this year’s offerings from those previous: The fact that known creators are putting heroic spins on cereal mascots. Don’t expect drastic overhauls as people still need to recognize the fictitious spokesmen, but I’d still say they’re certainly memorable. Here’s what you can expect to find greeting you as you stroll down the breakfast aisle: Honey Nut Cheerios’ BuzzBee as Batman, drawn by Dave Johnson; Multi Grain Cheerios featuring Wonder Woman, with art by Neal Adams; the Trix Rabbit as Superman, illustrated by Amanda Conner; Lucky Charms’ Lucky the Leprechaun as Green Lantern, reinterpreted by Joe Quinones; Cocoa Puffs’ Sonny the Bird as the Flash, by Karl Kerschl; and Cinnamon Toast Crunch’s Crazy Squares uniting as Aquaman, Green Lantern and Cyborg by way of Tony Daniel. 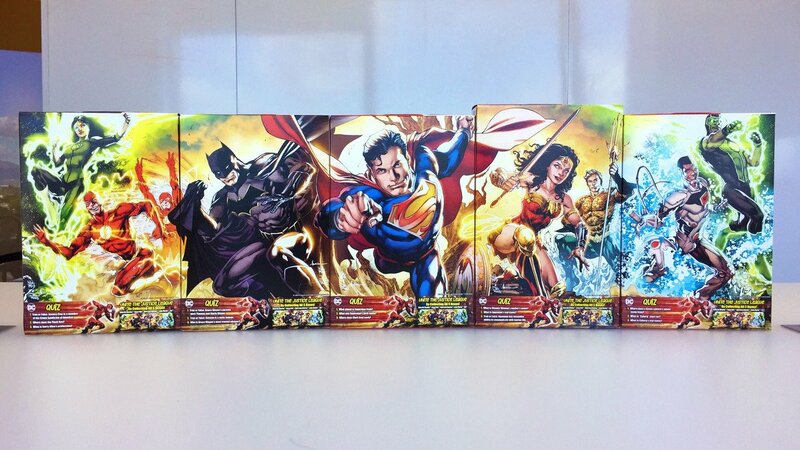 Furthermore, the back covers of the cereal boxes come together to form a connecting image depicting the Justice League we know and love. Penciled by Ivan Reis, inked by Joe Prado and colored by Marcelo Maiolo, this may be the first thing that’s not a periodical or poster that I’d be willing to have autographed by a known artist at a convention. In fact, my better judgment tells me I may not be the only one doing this in 2017.